This is a nice companion to Elder Scrolls Online. The presentation is beautiful. It's a hardcover with a surface that's almost velvety with a nice emboss design. If you happen to have the Diablo III companions on the folklore, such as The Book of Cain or The Book of Tyrael, this is almost like those in terms of presentation. The pages are designed like old parchment with yellow pages and mould stains. The content are actually text from the game. You might find the text online as well through sources such as Wikia but that would be troublesome to go through compared to them all collected neatly in this book. The text are stories and lore from various inhabitants of Tamriel, from all the three warring factions, Aldmeri Dominion, Daggerfall Convenant and Ebonheart. There's also a section with several chapters on creatures. For every spread, there's either one or two pieces of beautiful artworks that decorate the blocks of text. 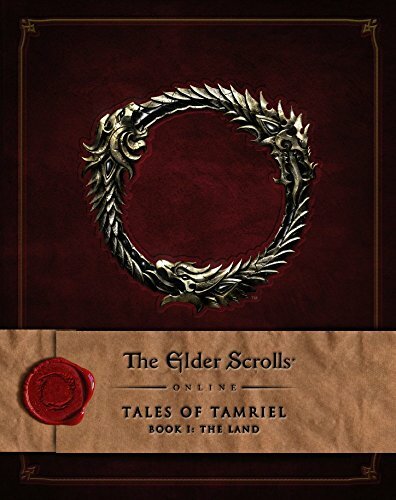 It's a great book for fans of Elder Scrolls Online. The only downside is the peculiar choice of font used that affects the legibility.